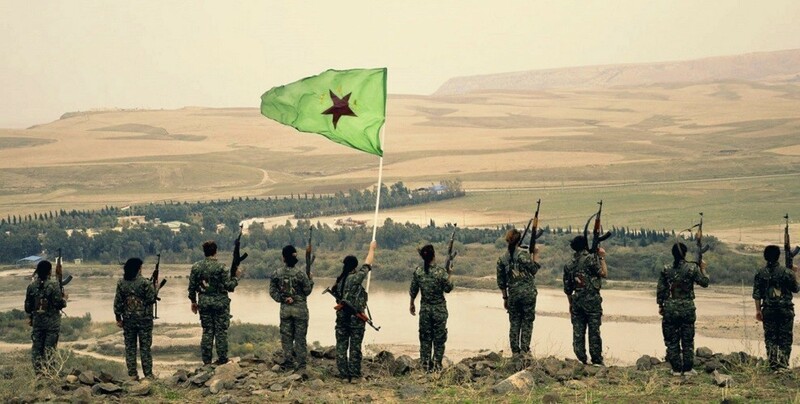 The Women's Council was established on 21 November 2014 following the declaration of the Rojava Democratic Autonomous Administration. The traditional feminist night demonstration in Bern was inspired this year by the women's resistance in Rojava. A mass demonstration will be held today in Munich, Germany for the 20th anniversary of PKK guerrilla Andrea Wolf’s martyrdom. The sound of oars in the still waters of the Euphrates River tells the story of fisherwoman Eshme’s struggle in life. The African country will name Ambassador Sahle-Work Zewde as first woman president. It was the 25 October 1992 when a Kurdish female guerrilla, Beritan, threw herself off a cliff, rather than surrender to a group of KDP peshmergas collaborating with the Turkish army. Democratic Society Education Committee has brought the science of Jineology into schools in the Cizire Region. The MSD Women’s Bureau held a press statement on the murder of Resha Besîs by her brother in Jarablus. Colombia has been going through a wave of violence by paramilitary groups targeting former FARC guerrillas, social leaders, and human rights defenders. Kongreya Star condemned the killing of a woman who was raped by Turkish-backed mercenaries in Jarablus. Women from Afrin in Shehba condemned the strict isolation imposed upon Kurdish People’s Leader Abdullah Öcalan and said they believe in Öcalan’s ideas to the end. 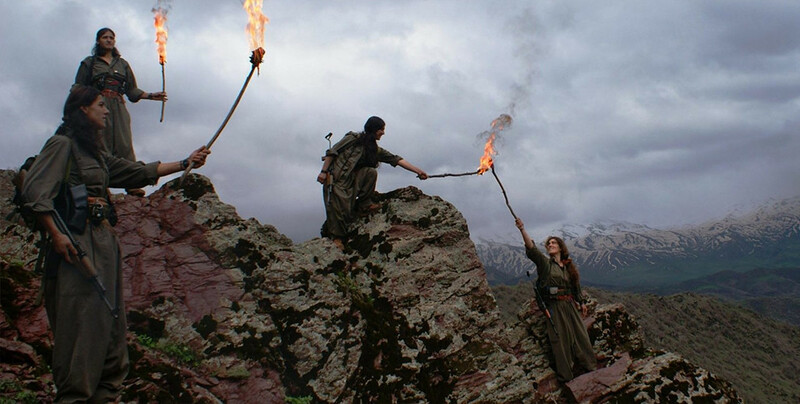 The united and organized struggle of the brave women of Kurdistan, against the ISIS brutes and dictator regime of Erdogan is a source of hope and inspiration. Hesekê women have strongly reacted against the vicious and violent attacks of the Turkish state and its mercenary allies on Afrin and its people. After the failed independence referendum in Southern Kurdistan a year ago, violence against women has increased. The women's organization RJAK calls for a joint struggle. A panel was organized by the Rojbin Women's Council in Hamburg and held at the University of Hamburg. The center was named after YPJ fighter martyred in the city of Tabqa, Hêlin Cudi. TJA: Our words are stronger then your weapons! 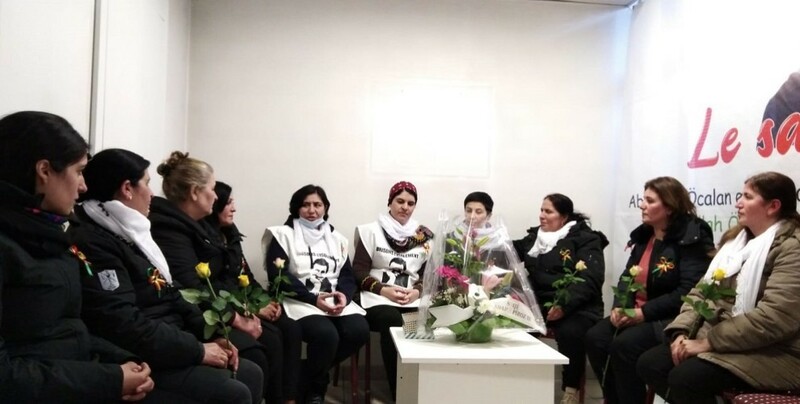 The Free Women's Movement (TJA) protested against the arrest of 59 women during raids carried out by police in 9 different cities including Amed, on Tuesday.